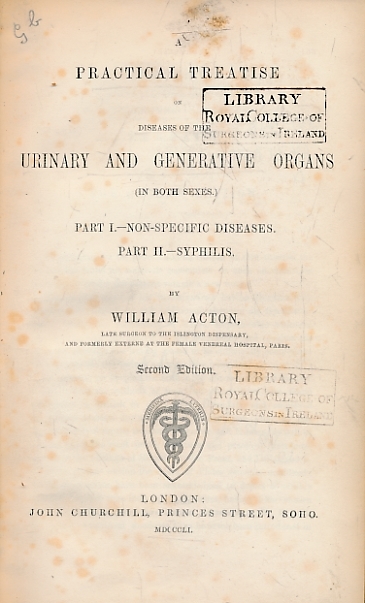 Barter Books : Acton, William : A Practical Treatise on Diseases of the Urinary and Generative Organs [in Both Sexes.]. Part I - Non-Specific Diseases. Part II - Syphilis. 220 x 140 mm (9 x 6 inches) - viii, 693pp. 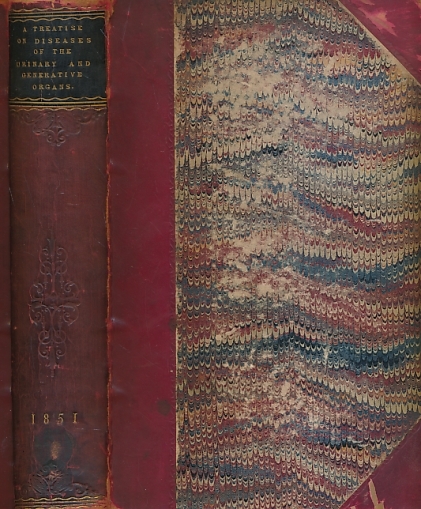 Maroon hardback half-leather cover with marbled boards. G: in good condition. Cover rubbed and scuffed. Hinges cracked with repair to front inner hinge. Foxing to prelims and slight darkening to page ends. Ex Royal College of Surgeons Ireland Library.